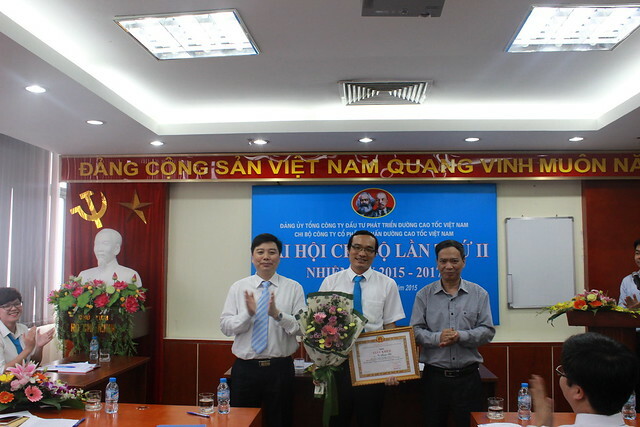 Implementing the regulation of Vietnamese Communist party and the approval of VEC Party committee, on the afternoon of 01 April 2015, VEC Consultant Party cell solemnly organized “The 2nd congress of VEC Consultant Party cell, in the term of 2015-2017"
The congress honored to welcome Mr. Phung Minh Mo – member of Executive committee, Member Council of Vietnam Expressway Corporation (VEC); and Mr. Mai Duc Quynh – member of Inspection Party committee, Manager of Personnel and Organization department of VEC. Mr. Nguyen The Cuong, Party secretary presented the Summary report of VEC Consultant Party cell in the term of 2012 – 2015; The direction and plan of VEC Consultant Party cell in the term of 2015 – 2017 at the congress. Party members of VEC Consultant actively contributed the opinion speeches for the reports. In particular, the congress also was received the close direction from Mr. Phung Minh Mo – Member of Member Council of VEC. In the congress, Mr. 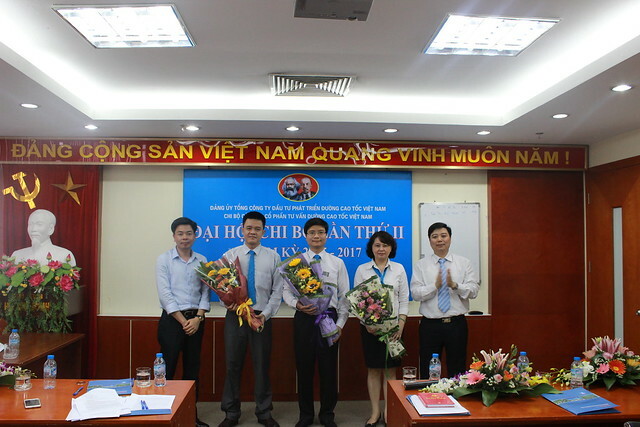 Vu Thanh Hai – Manager of VEC Consultant Business department was honored to receive the Merit of Typical Party Member in 2014 from VEC Party committee. 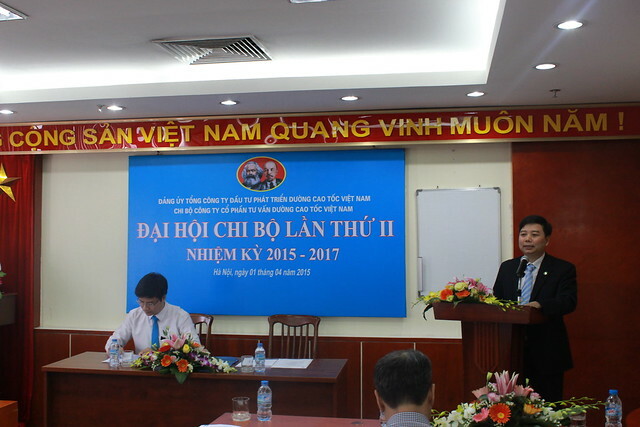 After justice, serious working time, according to regulations of Communist Party, the congress agreed to elect VEC Consultant Party Cell committee in the term of 2015 – 2017 as results: Mr. Nguyen Quang Loc – Party secretary; Mrs. Tran Thi My Hanh – Deputy Party secretary; Mr. Tran Duc Giang – Member of committee. On behalf of Party committee, the New Secretary promised to implement Party committee 's task in term 2015-2017. 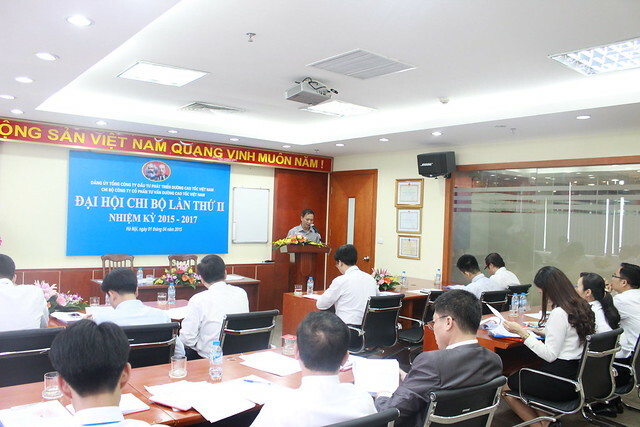 VEC Consultant Party Cell Congress affirms that all staffs, Party members will be determined to promote the achievements, overcome weaknesses, solidarity, unity and improve leadership capability and build Party cell stainlessly and strongly; improve the quality and efficiency of professional work; perform successfully Resolution of 2nd Party cell congress in the term of 2015 – 2017./.